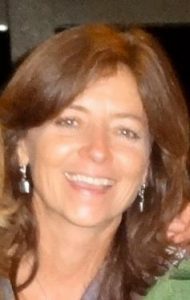 Our February 2015 Timeshare Resale Agent of the Month is Sue McPherson of Preferred Timeshare Resales in Lake Tahoe, California. A licensed Real Estate Agent in the State of California since 1997, Sue graduated from California State University, Chico (Chico State), with a Bachelor’s degree in Recreation Management (emphasis in Resort Management), and a minor in Business Administration (emphasis in marketing). Her timeshare career began in 1987 after graduating from college and completing an internship in Colorado. She followed her heart back to Lake Tahoe, and answered an ad for a “Marketing Representative” for the Ridge Tahoe Resort. She found out it was an “OPC” (Off Premises Canvassers), position marketing tours at the resort. She excelled as an OPC for three years before being promoted to Marketing Manager, responsible for 40+ OPC’s. Sue continued in marketing management for many years with The Ridge Tahoe, then accepted a position as the Senior Marketing Manager for Embassy Vacation Resort in Tahoe during their start-up phase. She also worked in “Exit” sales there. “ I always had a huge passion for travel and eventually became a travel guide around the US for 8 months” – quite an adventure I am sure! She later rounded out her marketing and sales experience as a National Sales Manager and a Regional Sales Director in other industries. She was also worked for Tahoe Beach and Ski Club, and Lake Tahoe Vacation Resort. Sue’s extensive career in timeshare led her to becoming a Sales Executive with Marriott for many years, selling at the Marriott Newport Coast Villas site from August, 2009 to January 2013, and Marriott Timber Lodge in beautiful Lake Tahoe from June, 2006 to August, 2009, where she specialized in their off-site sales. She was also trained in the Marriott Destination Club points program, and was among the top 10% of sales executives at the Timber Lodge and Newport sites for most of her tenure with the Marriott Corporation. She specialized in “In-House Sales” whereby she worked with multiple-week owners. Sue is a member of LTRBA – Licensed Timeshare Resale Brokers Association and ARDA, the American Resort Development Association. Sue’s personal philosophy is simple: “I care about people and love helping them. I strive to cultivate authentic business relationships with my clients. Travel, life experiences and adventure have always been huge passions for me. I feel blessed to have travelled and lived in many places in the world, and to have experienced the joy of many different cultures. My travel experiences have proven to be a large part of my education, contributing to my success in this industry. The timeshare industry has given me a great vehicle to help share my philosophy, and encourage others to “force themselves to vacation more,” thereby taking more time out of their busy lifestyles to spend precious time with their loved ones and enjoy a more fulfilled, happy and stress free lifestyle”. Sue currently lives at Lake Tahoe, and shares her life with her boyfriend, Toby, and his son and daughter, nine and eleven years old. “We are avid back-country and downhill skiers, and enjoy many other outdoor recreational sports including mountain biking, paddle boarding, hiking, swimming, backpacking, and tennis. I love being in the mountains and near the ocean as much as possible and enjoy art and music festivals in the summertime. Photography has also been a wonderful pass-time”.